Our seamstresses made a unique kitchen valance for this beach home. 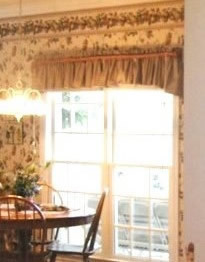 This room felt small before, the custom valances made the ceilings feel much taller. We make it easy to transform your rooms, as we're a one stop source. We provided chairs in the client's favorite red color, and a new light fixture. 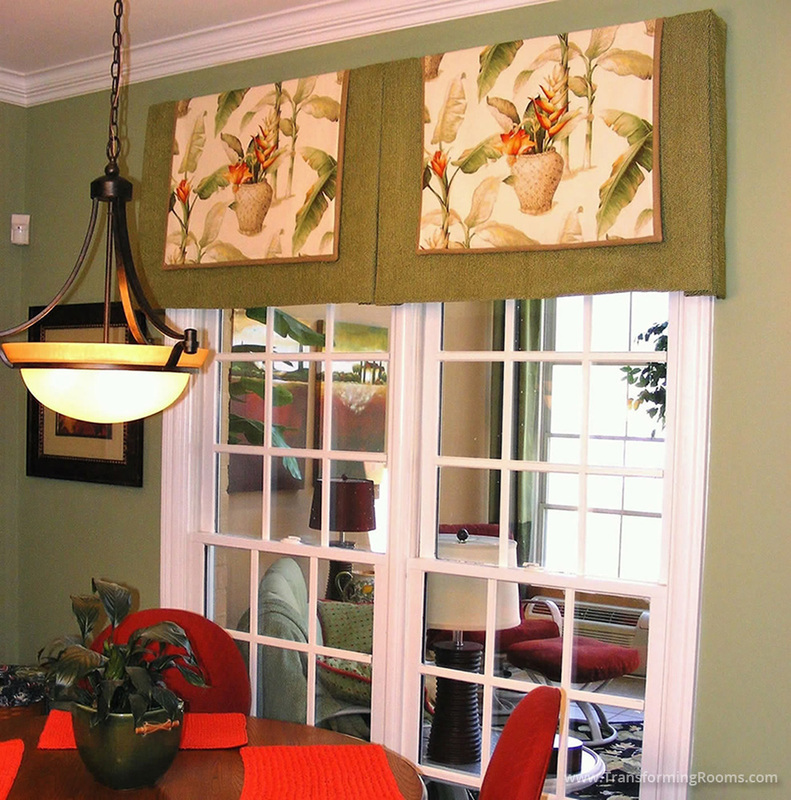 We offer the best styles & amazing fabrics for all window treatment needs.